to sneak a few more games in on their way down the career curve. people applying for the position of 13th forward. healthy and find his way to a career. which is a bit rich for an end-of-roster guy. basically a solid No. 9 defenceman. not have enough offensive touch to make it as a fourth-liner. from a mid-40’s point producer in the AHL. He’s 26 years old. guys turn 25 its pretty easy to pigeon-hole them as ‘tweeners. rugged blueliners. He’s only 23 and may deserve a second opinion. that do him in as a major-league option. least one quality that should be attractive to a major-league team. interesting to a team with needs; right now, I’d expect them all to clear. Check out Renaud Lavoie’s feed for the full list of players waived today. Which Condors Could Make The Jump? I’m hoping PC can add a couple more pieces before the season starts. Maybe a good waiver pickup and/or trade. Without a good RHD PP QB, I’m not sure they can make the playoffs. I just hope they play with more grit and wear teams down with the likes of Lucic and Maroon. The D still needs some help, I have a feeling a trade is coming. I would agree with you, but I think the expansion draft is screwing up teams’ plans for making trades. It’s a consideration for the rebuilding teams or middling teams for sure. Oilers, Canucks probably can’t add an 11th best skater only to lose him next summer. The teams that can take on players are the contenders as they probably already have guys who fall into the “likely exposed” category and they’ll want to have depth for the playoffs. IIRC each team can only lose one player to Vegas. I’ve heard multiple GM’s from playoff teams say it’s not because they are focused on winning this year, not in 2-3 years. The Oilers will lose Pouliot most likely and if they have to trade Davidson (as much as I like him) plus draft picks or another piece, can we as fans live with it? If the winning ensues I say yes. It has been rumored PC won’t trade Nurse because of his potential, so that factors in too. The Oilers will lose a decent player, every team will. I personally hope they make a trade. If injuries happen and they will, the Oilers will be in tough. 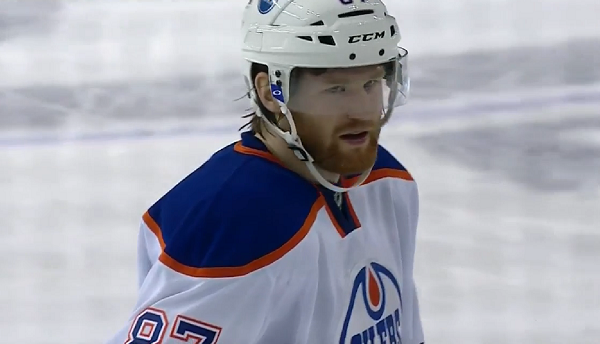 At some point they Oilers need to make a big step forward. I hope this is the year they do. Part of me hopes to see Sbisa on that wire soon. I’m still not convinced that we can move forward with Edler as a top pairing D man. Wouldn’t this be a perfect time to cut ties allowing for less waiver wire problems, getting younger and possibly gaining assets? It’s a nation’s wide article, not just an ON article. I think i’ve seen the upside of Sbisa and on a team like this it isint enough to keep him around. Try Trymkin or Pedan in that spot instead. Probably not as good now but potentially more upside.